The National Electrical Communications Association (NECA) engaged BGA to support their work in examining the strengths of the Apprenticeship system, and identifying areas where the system could be improved for employers and apprentices in training for the Certificate III in Electrotechnology. 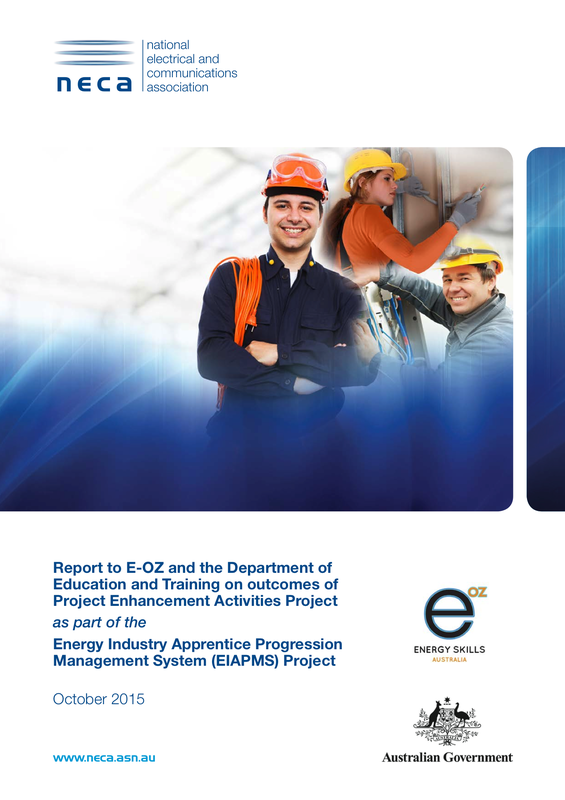 BGA assisted with the consultation process, providing independent analysis, to determine employer and industry’s view on future training arrangements, and to review the Energy Skills Australia (E-OZ) Energy Industry Apprentice Progress Management System (EIAPMS). Development of information kits on competency based progress and relevant support arrangements. The review of the EIAPMS Pilot Project included the examination of stakeholder understanding and potential effectiveness of the Pilot and identified tools/strategies for managing apprentice’s progression; and identifying assistance and support needed by employers to apply pilot strategies in workplace settings to improve the performance of apprentices post project. BGA developed a comprehensive stakeholder engagement plan, which included a series of consultations targeting employers, apprentice masters, team leaders and supervisors. In addition to one-on-one and small group sessions with the target audience, there was also a number of seminars conducted with companies and contractors across Australia. The findings from the consultation process assisted NECA in developing a policy position across the key project elements and in determining a formal view for government.